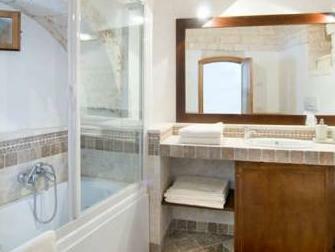 Offering accommodations in a traditional Puglia Trullo, Tipico Suite is in Alberobello’s old town. It provides free Wi-Fi. 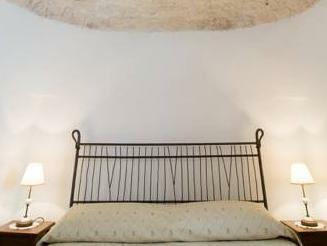 Each room is set in a single Trullo, with bare-stone walls and vaulted ceilings. They feature an LCD TV and a private bathroom with toiletries. Guests can relax in the Tipico Suite’s private garden, furnished with sun loungers. A buffet-style breakfast is available at a café located 328 feet away, and it includes a selection of sweet and savory products The property is 1969 feet from Alberobello Train Station. A local train connects you with Bari in around 1 hour. A surcharge of EUR 15 applies for arrivals after check-in hours. All requests for late arrival are subject to confirmation by the property. A shuttle service is available on request and at an extra cost. Guests can choose the destination. Guests are required to show a photo ID and credit card upon check-in. Please note that all Special Requests are subject to availability and additional charges may apply. Please inform Tipico Suite of your expected arrival time in advance. You can use the Special Requests box when booking, or contact the property directly using the contact details in your confirmation.